On to my next project! Now that I finished sewing the Quilt Top for Vicki, and I’m not sure how to dye it yet, so I think I will move on to my next project. That is the quilting work for the Quilt for Miss A! I think I’m just going to stitch in the ditch for the body and then do something with a little more fun for the border. Not sure yet, but I’ll sleep on it and come up with something supper! 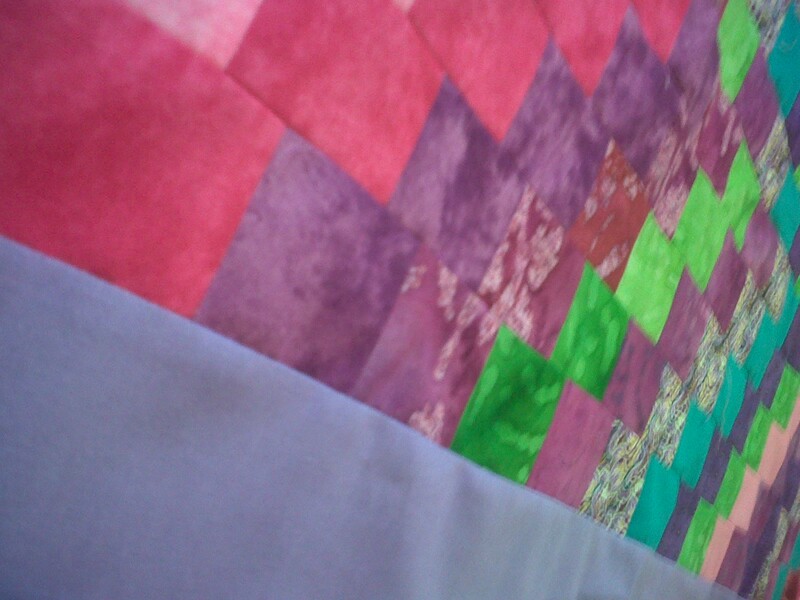 See pictures of Miss A’s quilt below! You get an A+ for that one Eric. Your work is outstanding.